The trucker was making a delivery to a factory. While working out of the back of his rig, he ended up on the wrong side of a machine loader. The loader’s arm hit him, lifted him up, pushed him against a metal barrier, and crushed his chest. When the ambulance arrived at the emergency room, the trucker was in pain, slipping in and out of consciousness. The CT scan showed cardiac tamponade — bleeding in the sac around the heart — and he was rushed to surgery. The surgeon made a note that his patient was grimacing in agony in the elevator on the way to the operating room. The loader arm’s blow had essentially sheared the inferior vena cava — the biggest vein in the body — off his heart. The surgeons were successful in sewing it back together, but the trucker had lost so much blood that his major organs were beginning to shut down. He hung on for a week, in a drug-induced coma, on a ventilator in the intensive care unit. When his family came to visit, hospital staff would adjust the trucker’s medications down to allow him to tap out some tunes on a board, or squeeze their hands in response to questions. They were grateful that he was responsive, that he recognized them. They held out hope for his recovery. But the trucker had multiple broken ribs and a crushed sternum, and his organs were dying inside him. Nobody wanted to tell his wife and sons how much pain he was in. Nobody wanted to tell them he was dying. I didn’t do the autopsy. I was brought in much later, to review the case and answer one simple question: Did this man suffer? In lawsuits that arise from industrial accidents, large financial penalties apply to those found responsible for preventable deaths that involve conscious pain and suffering. A forensic pathology expert witness can make postmortem diagnosis of terrible events — such as, in the trucker’s case, bone-crushing injury, battered internal organs, and ruptured vital structures — by reviewing the medical records and the autopsy findings. We can also examine the brain for signs of damage that would indicate that the decedent must have been rendered unconscious — and therefore, perhaps, did not suffer the effects of those agonizing injuries as a fully-conscious person would. When I was a young doctor right out of autopsy training and would call the next of kin of the recently deceased, the question I feared facing the most was, “Did he suffer?” Everyone wants assurance that their loved one’s death was quick and painless. How should I answer that question when that death was, like the trucker’s, slow and awful? I used to lie about it. There were times that I would tell the next of kin that their loved one’s death was instantaneous and pain-free, even when I knew from the autopsy that the death had been a bad one. I thought I was doing the right thing, the merciful thing — sparing those poor people the psychic agony of knowing that their loved one suffered in death. But then I was called for the first time to testify in court on the conscious pain and suffering of one of my cases. I was placed under oath and sworn to tell the truth. I looked out from behind the stand at the decedent’s family sitting in the gallery, and panicked. Had I lied to those people, assured them that the body I had autopsied showed all the signs of having died, peacefully, in the blink of an eye? And if I had done that, how would they react now, when I would testify to the truth, and they would hear, for the first time, about the agony their loved one suffered? 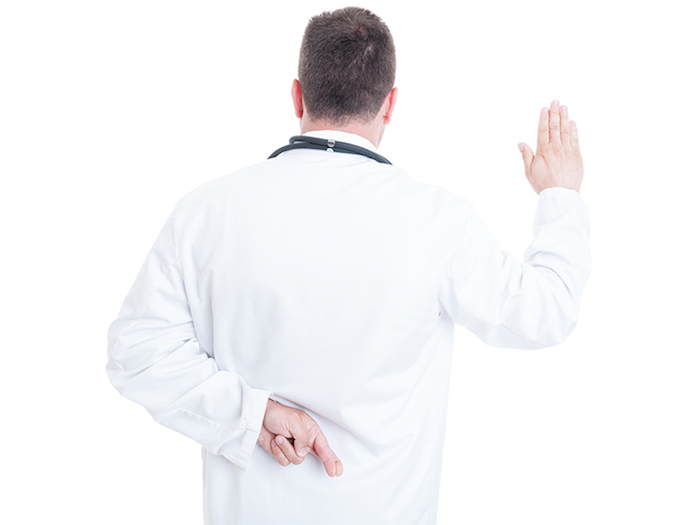 We doctors start our careers with an oath to “first, do not harm.” Then, in court, we take an oath “to tell the truth, the whole truth, and nothing but the truth.” What if these oaths conflict? 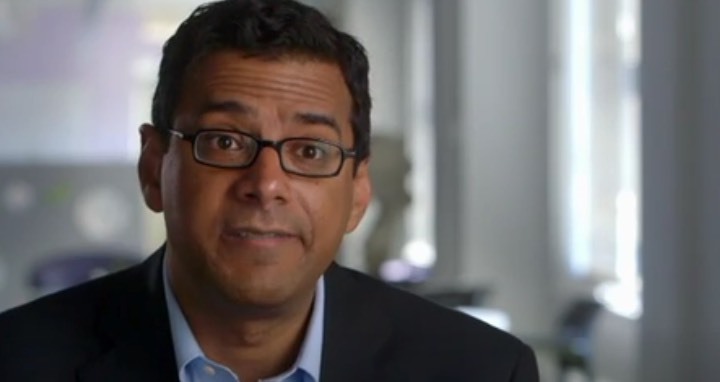 What if doctors, in an attempt to comfort a grieving family, actually give them false information that can later cost them the financial benefits that they deserve from a legal decision over their loved ones’ conscious pain and suffering? Tell the truth. It’s a hard choice, but the only one that a doctor — any doctor — can make. If you are a clinician treating patients, their loved ones deserve to know the true nature of their pain, and also everything you are doing to make it better. Talk to the families about patient pain. Document your findings about patient pain. You aren’t helping anyone by hiding it. You might even be doing harm. This is a story about death. About how we in the United States—and maybe to a slightly lesser degree, here in Colorado and the West—tend to separate ourselves, emotionally and physically, from both the ugliness and the beauty of our inevitable ends. We don’t like to think about dying. We don’t like to deal with dying. And we certainly don’t like to talk about dying. Maybe that’s because acknowledging that human bodies are ephemeral short-circuits American brains groomed to (illogically) hope for a different outcome. Perhaps it’s also because the moment death becomes part of the public discourse, as it has in the Centennial State over the past several years, things can get uncomfortably personal and wildly contentious. 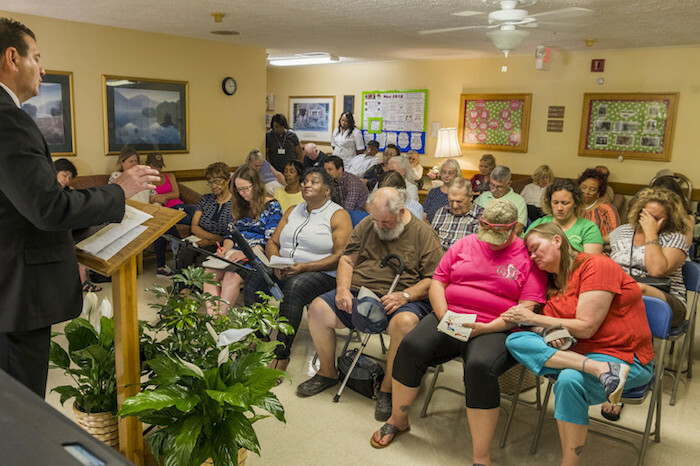 When Coloradans (with an assist from Compassion & Choices, a national nonprofit committed to expanding end-of-life options) got Proposition 106, aka the Colorado End-of-Life Options Act, on the ballot in 2016, there was plenty of pushback—from the Archdiocese of Denver, advocacy groups for the disabled, hospice directors, hospital administrators, and more physicians than one might think. But on November 8, 64.9 percent of voters OK’d the access-to-medical-aid-in-dying measure, making Colorado the fifth jurisdiction to approve the practice. (Oregon, California, Montana, Washington, Hawaii, Vermont, and Washington, D.C., have or are planning to enact similar laws.) Not everyone was happy, but if there’s one thing both opponents and supporters of the legislation can (mostly) agree on, it’s that the surrounding debate at least got people thinking about a very important part of life: death. “As a society, we don’t do a great job of talking about being mortal,” says Dr. Dan Handel, a palliative medicine physician and the director of the medical-aid-in-dying service at Denver Health. “My secret hope is that this [new law] prompts talks about all options with dying.” We want to help get those conversations started. 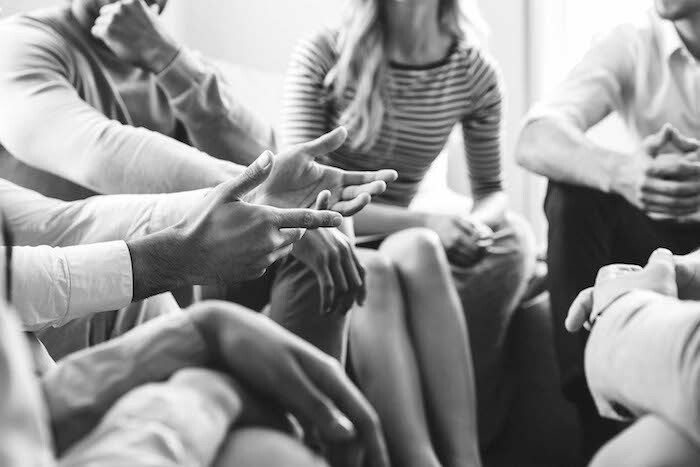 In the following pages, we explore everything from how to access the rights afforded in the Colorado End-of-Life Options Act to how we should reshape the ways we think about, plan for, and manage death. Why? 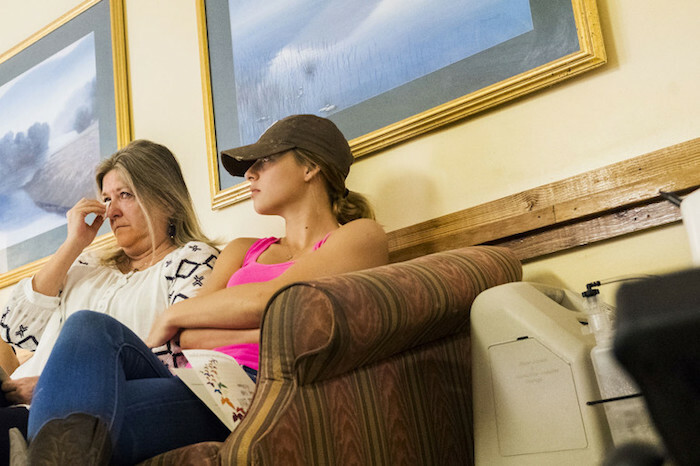 “We’re all going to die,” says Dr. Cory Carroll, a Fort Collins family practice physician. “But in America, we have no idea what death is.” Our goal is to help you plan for a good death—whatever that means to you. As the nation’s baby boomers age, our country is approaching a new milestone: more gravestones. Over the next few decades, deaths in America are projected to hit a historic high—more than 3.6 million by 2037, which is one million more RIPs than in 2015, according to the U.S. Census Bureau. Here in Colorado, home to Boulder’s Conscious Dying Institute, there are a growing number of “death doulas” trained to help us cross over on our own terms. Over the past year, the Conscious Dying Institute has seen a noticeable jump in the number of Coloradans using its directory of doulas and inquiring about training. When she started working in end-of-life care in 1998, founder Tarron Estes (pictured) says no one had heard of death doulas. Now she’s getting roughly 25 calls a week. “More people are getting comfortable talking about death,” Estes says. “In cities like Denver, there’s a willingness to talk about topics that are taboo in other areas of the country.” Medical aid in dying is, of course, a prime example. 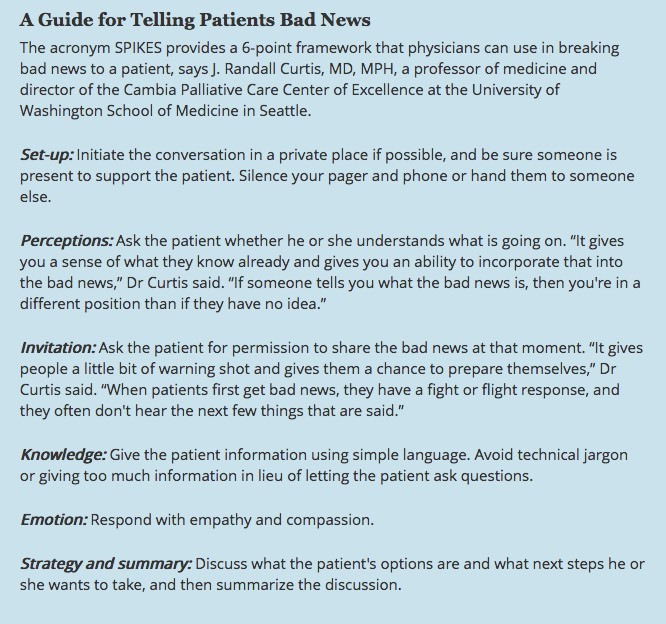 That embrace of the end might be just another part of what is becoming known as the “death-positive movement.” More than 314,000 people have downloaded a free starter packet from the Conversation Project, a nonprofit that gets people talking about their end-of-life wishes. And more than 6,700 “death cafes,” where people gather to talk about death over tea and cake, have popped up around the nation, including several in Colorado. Ready to make a date with death? The Denver Metro Death Cafe’s next meeting is on October 20. 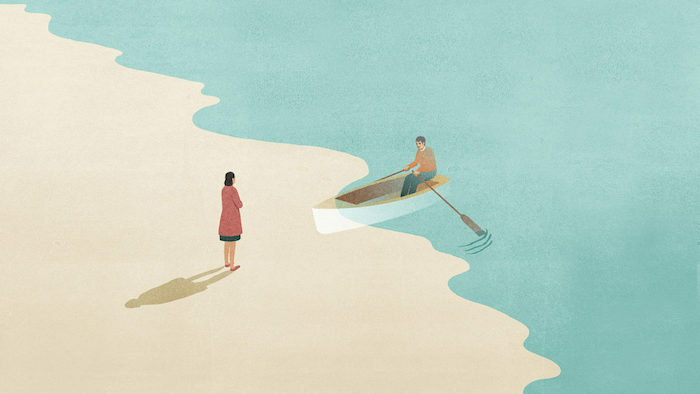 What to look for in an end-of-life guide. 1. Ask to see a certificate of education and research the organization that provided the doula’s training. Look for curricula that involve at least some in-person instruction. 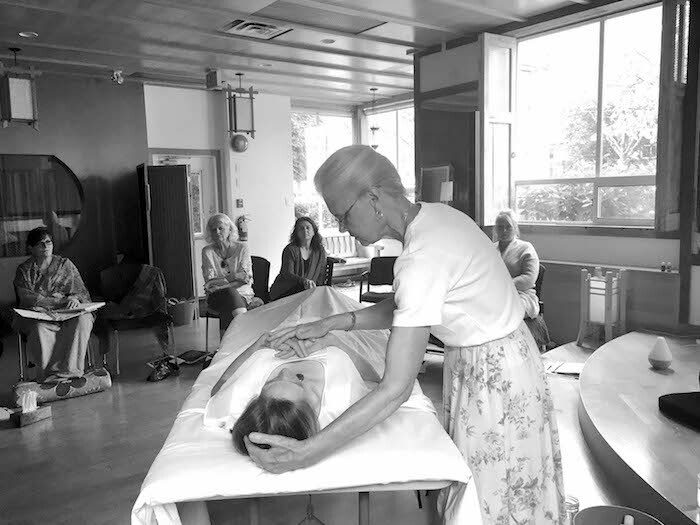 For example, the Conscious Dying Institute’s eight-day, on-site training portion includes lectures, writing exercises, demonstrations, and partner practices. It’s also split into a three-day session and a five-day session, with a 10-week internship requirement between each on-site phase. 2. Compare fees. Death doulas in Colorado charge about $25 to $125 an hour and may offer a sliding scale based on their clients’ financial means. 3. Pay attention to the doula’s listening skills. The last thing you want as you prepare to cross over is someone who hasn’t been hearing you all along. 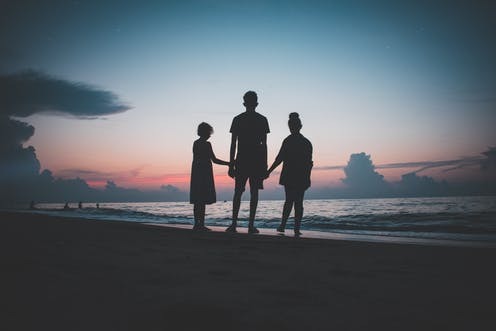 If a good death includes making sure your family is cared for, one of the greatest favors you can do for your loved ones is to provide a clear path to all of your worldly possessions. Putting in the time—and paperwork—to plan for the dissemination of all your stuff can save your family months of headaches, heartaches, and contentious probate battles. Not sure what kind of estate planning documents you need? We spoke with Kevin Millard, a Denver-based estate planning attorney, to help you get started. At the very least, you need a guardian appointment document to determine who will care for your children after your death. 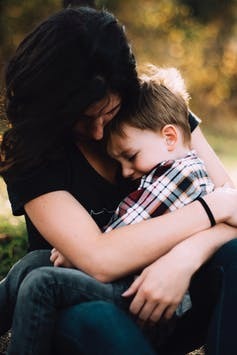 Physical custody is different from managing any money you might have set aside for your children. You can name one person to manage the money and another to actually care for your children. Also, if your selected guardian doesn’t live where you do, he or she gets to decide whether or not your kids have to move. Then you’ve probably already designated who gets what by appointing a beneficiary for those things. 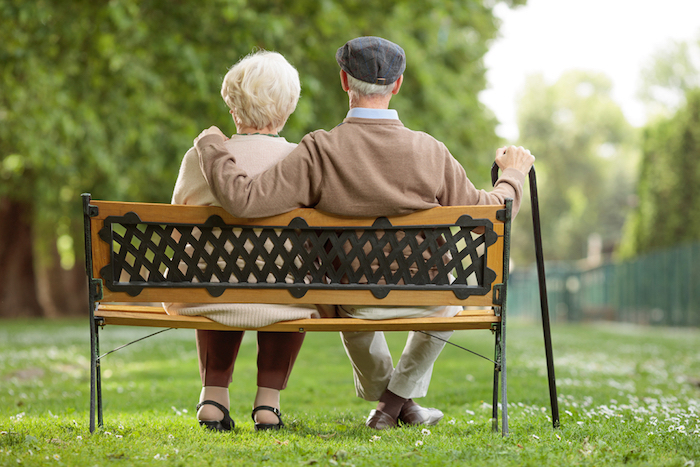 Anything with a beneficiary—life insurance policies, payable-upon-death bank accounts, retirement plans, or property held in joint tenancy (e.g., your house)—does not get distributed according to intestate succession laws (the laws that govern how your stuff is divided after your death if you don’t have a will). It goes to the listed beneficiary. However, you might want to consider also designating a durable financial power of attorney to manage all of your accounts in the event you become incapacitated before you die. Ditto for a medical power of attorney. In addition to a will, you should consider a trust. This can protect your estate from being included in lawsuits if you’re sued, and it can also ease some of the estate tax burden on your heirs. But if you’re worth millions, then you probably already have people on retainer who’ve told you this. You need a will if you want to make life easier for your heirs. (In Colorado, any estate valued at more than $65,000 must go through probate court—a process that takes many months to finalize because you cannot close an estate here until six months after a death certificate has been issued, which can take several days or even weeks.) The general rule in Colorado is that a will must be signed by two witnesses to be valid. If you go through the trouble of having it notarized, it becomes a self-proving will, which means the court doesn’t have to track down the witnesses to certify its validity. You can also handwrite and sign your will; that’s known as a holographic will and does not require witnesses—but it does come with a lot of hand cramps. It was June in Arizona, and it was hot inside my dad’s kitchen. The whole place smelled musty, the way old cabins do, and I watched as a swath of sunlight coming through the window illuminated lazy plumes of dust. My thoughts felt as clouded and untethered as the drifting specks. I had flown in from Denver the day before and driven more than 100 miles from Phoenix to collect some of my father’s things and bring them to the hospital, where he lay in a medically induced coma. It had all happened so fast. I’d received a midnight call from a neurosurgeon in Phoenix—the same one who had done a fairly routine surgery to mend a break in my dad’s cervical spine a few weeks earlier. Somehow, the physician said, my father had accidentally undone the surgery, leaving two screws and a metal plate floating in his neck. The doctor explained that he had operated emergently on my dad, who would be under a heavy fentanyl drip—and a halo—until he stabilized. Although my parents had been divorced since I was two years old, my mother was there to help me that afternoon in Dad’s cabin. Between coaching me through decisions like which of his T-shirts to pack and whether or not I should bring his reading glasses, she happened upon a navy blue three-ring binder, with a cover page that read “Last Will and Testament, Power of Attorney & Living Will for Larry Forsythe,” in his bedroom. He had never told me about the binder, but my name graced nearly every page within it. On a durable financial power of attorney. On a durable medical power of attorney. On a living will. And on his last will and testament. My typically nonconformist dad had prepared a collection of legal files that would become my bible in the ensuing months. During the roughly 16 weeks he was hospitalized, I would reread, reference, fax, scan, copy, and email those documents—particularly the powers of attorney—countless times. I also thought, on nearly as many occasions, how fortunate I was that my dad, who probably struggled to pay for a law firm to draw up the papers, had done so just a year before he was unexpectedly admitted to the hospital. Without his wishes committed to paper, I know I would not have been able to fully and confidently make decisions on his behalf. But, navy blue binder in hand, I was empowered to speak with authority to doctors, nurses, bank executives, and even the cable company, which would not have stopped the monthly payments that were dwindling his already heartbreakingly low bank account had I not been designated his financial power of attorney. I always thought that having a sick or dying loved one meant hospital visits and flowers and tears—all of which is true—but I spent far more time on the phone with medical professionals, financial institutions, and social workers than I did crying. I imagine all of that strife would have been magnified dramatically had we not found that binder. My dad died a year ago this month. His passing brought more challenges for me, but for a long time after, I silently thanked him for having the foresight to visit that estate planning law firm, for considering what I’d go through when he was no longer here. It was one of the last—and best—gifts he ever gave me. Navigating the myriad steps to legally access medical-aid-in-dying drugs can be an arduous undertaking already. Some obstacles, though, are making it even more frustrating for terminally ill patients and their families. 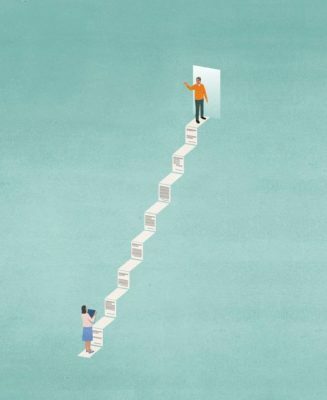 Procedural Glitch: Because the law allows individual physicians to opt out of prescribing medical-aid-in-dying drugs for any reason and because some hospital systems and hospices have—in a potentially illegal move—decided not to allow their doctors to prescribe the meds, it is sometimes difficult for patients to find physicians willing to assist them. Procedural Glitch: Although mandatory waiting periods are required in all jurisdictions with medical-aid-in-dying laws, these requirements are especially challenging for patients in small towns or rural areas, where there might not be a doctor willing to participate for 100 miles. For terminally ill patients, making two long road trips to present oral requests can be next to impossible. Procedural Glitch: Once again, difficulties with finding a willing physician can cause lengthy wait times. Procedural Glitch: Not every hospital system will allow its on-site pharmacies to fill the prescriptions—HealthOne, for example, doesn’t. 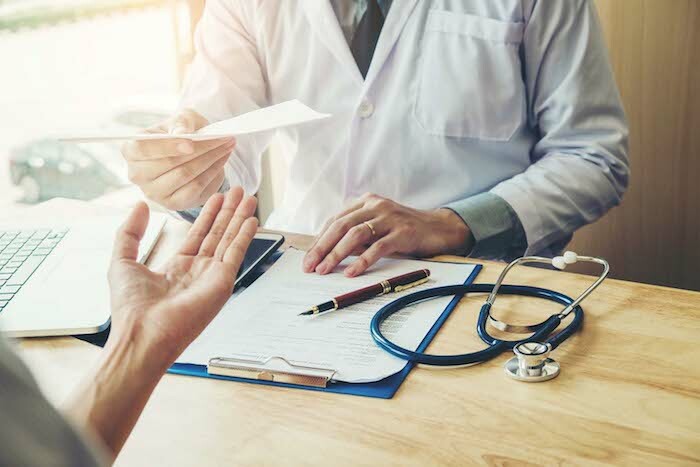 Corporate pharmacies, like Walgreens, and grocery-store-based pharmacies often will not fill or do not have the capability to fill the prescriptions. What’s more, Colorado pharmacists are able to opt out of filling the prescription for moral or religious reasons. That leaves doctors and patients in search of places to obtain the drugs once all of the other requirements have been fulfilled. Procedural Glitch: Depending on the drug that is prescribed and the pharmacy that fills it, patients and/or their families are sometimes put in the position of having to prepare the medication before it can be administered. Breaking open 100 tiny pill capsules and pouring the powder into a liquid can be taxing even under less stressful circumstances. In most cases, medical-aid-in-dying patients fall asleep within minutes of drinking the medication and die within one to three hours. The law encourages doctors to tell their patients to have someone present when they ingest the lethal drugs. Procedural Glitch: Although most doctors who prescribe the medication do not participate in the death, it is worth asking your physician or your hospice care organization in advance about what to do in the minutes immediately after your loved one has died at home, as 78.6 percent of Coloradans who received prescriptions for life-ending meds under the law and subsequently died (whether they ingested the drugs or not) did in 2017. Someone with the correct credentials will need to pronounce death and fill out the form necessary for a death certificate (cause of death is the underlying terminal illness, not death by suicide) before a funeral home can pick up the body. A short breakdown of metro-area hospitals’ and health systems’ stances. 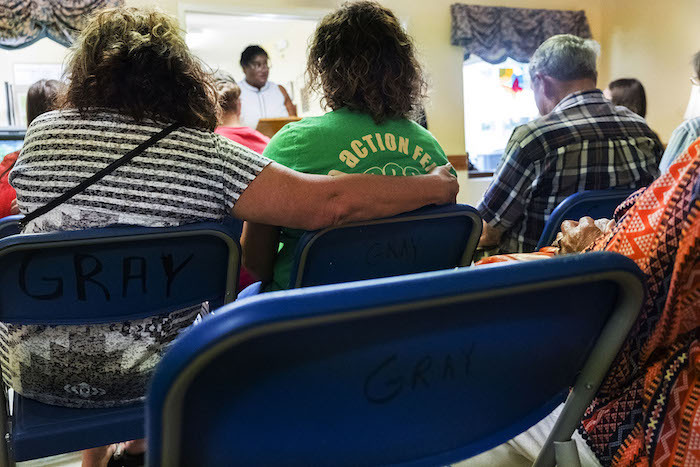 Why some local hospices aren’t as involved in Colorado’s aid-in-dying process as you’d expect. 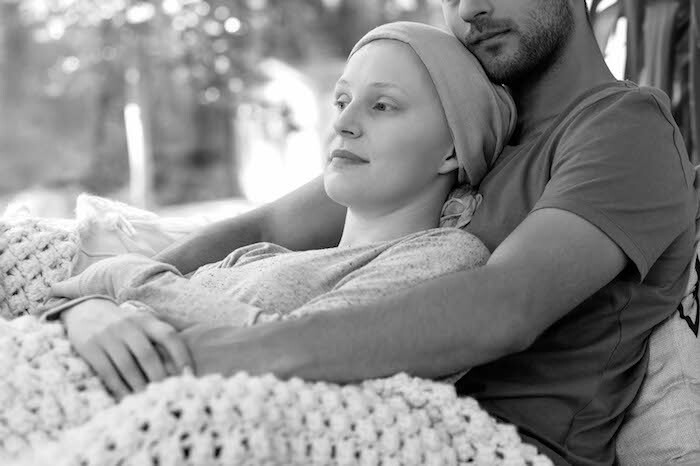 Despite what you might have heard, hospice is not a place where one goes to be euthanized. “That misconception is out there,” says Nate Lamkin, president of Pathways hospice in Northern Colorado. “We don’t want to perpetuate the thought that we’re in the business of putting people down. That’s not what we do.” That long-standing myth of hospice care is, in part, why many Colorado hospices have declined—potentially in violation of state law—to fully participate in the End-of-Life Options Act. Pathways is not alone in its abridged participation. Other large Front Range hospice care providers, like the Denver Hospice, have also either taken an arm’s-length stance on the practice or opted out entirely. End-of-life options advocacy nonprofit Compassion & Choices regards this as willful noncompliance, which could leave hospice providers exposed to legal action, especially considering that 92.9 percent of Colorado’s patients who died following the reception of a prescription for aid-in-dying meds in 2017 were using hospice care to ameliorate symptoms and make their deaths as comfortable as possible. But, says Compassion & Choices spokesperson Jessie Koerner, when hospices abstain from fully supporting medical aid in dying, it strips away Coloradans’ rights—rights to which the terminally ill are legally entitled. After spending years at a chain pharmacy, Denverite Dan Scales opened his own shop in Uptown so he could better serve his customers. 5280 spoke with him about being one of the few pharmacists in Colorado meeting the needs of medical-aid-in-dying patients. 5280: Of the roughly 70 medical-aid-in-dying prescriptions written in Colorado in 2017, Scales Pharmacy filled approximately 22 of them. Why so many? Dan Scales: As a pharmacist, you have no obligation to fill a script that’s against your moral code. So there are many pharmacists who won’t fill the drugs. Also, many chain pharmacies—like Walgreens—don’t mix compounds, which means they can’t make the drug cocktail a lot of physicians prescribe. That leaves independent pharmacies like ours. You don’t have any objections to the state’s End-of-Life Options Act? I really believe we kinda drop the ball at the end of life. We do a poor job of allowing people to pass with dignity. I won’t lie, though: After filling the first couple of prescriptions, I did feel like I helped kill that person. I needed a drink. But talking with the families after helps. You follow up with your patients’ families? Yes. We ask them to call us after their loved one has passed. We want to know how it went, how the drugs worked, how long it took, was everything peaceful? I’d say about 30 percent call us to offer feedback. It helps us know how to better help the next person. You have to understand, this is not a normal prescription; we talk with these people a lot before we even hand them the drugs. We get to know them. If you could change one thing about the process, what would it be? It’s frustrating that there’s not more pharmacy participation in our state. We’re having to mail medications to the Western Slope because people can’t find the services they need. She couldn’t travel with him this time, but a Lakewood woman supported her husband’s decision to go anyway. As a Kaiser Permanente Colorado patient, J had access to—and full coverage for—the life-ending drugs. The process, Susan says, was lengthy but seamless. J got a prescription for secobarbital and pre-dose meds; they arrived by courier to their house in April. Having the drugs in hand gave J some peace. He wasn’t quite ready, but he knew he was in control of his own death. He would know it was time when he began to feel like his throat would be too tight to swallow the drugs—or when he became unable to care for himself. *Names have been altered to protect the family’s privacy. A numerical look at medical-aid-in-dying meds. $3,000 to $5,000: Cost for a lethal dose of Seconal (secobarbital), one of the drugs doctors can prescribe. The price for the same amount of medication was less than $200 in 2009; the drugmaker has increased the cost dramatically since then. Many insurance companies will not cover the life-ending medication. 4: Drugs that pharmacists compound to make a lower-priced alternative to Seconal. The mixture of diazepam, morphine, digoxin, and propranolol, which is reportedly just as effective as Seconal, costs closer to $500 (pre-dose medications included). 5: Ounces of solution (drugs in powder form that are dissolved in a liquid) a medical-aid-in-dying patient must ingest within about five to 10 minutes. 2: Pre-dose medications—haloperidol to calm nerves and decrease nausea and metoclopramide to act as an anti-vomiting agent—patients usually take about an hour before ingesting the fatal drugs. 10 to 20: Minutes it typically takes after the meds are ingested for a patient to fall asleep; death generally follows within one to three hours. Just because roughly 65 percent of voters approved Colorado’s End-of-Life Options Act in 2016 doesn’t mean Centennial Staters are completely at ease with the idea of the big sleep. 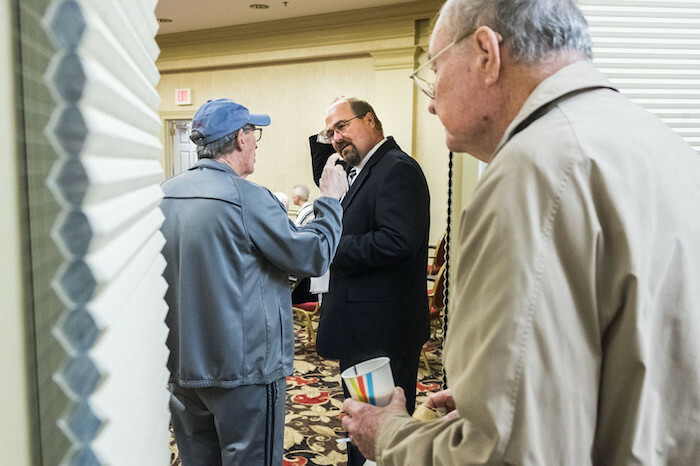 Just ask these health care professionals and death-industry veterans. 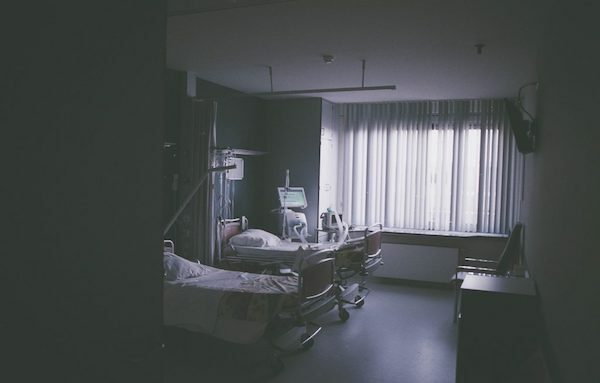 63 Percentage of Americans, 18 years or older, who die in hospitals and other institutional settings, like long-term care facilities and hospices. In 1949, however, statistics show that only 49.5 percent of deaths occurred in institutions. Because death in the home has become more uncommon, experts say, few Americans have direct experience with the dying process and that separation has, in part, led us to fear, misunderstand, and essentially ignore the end of life as an important stage of life itself. 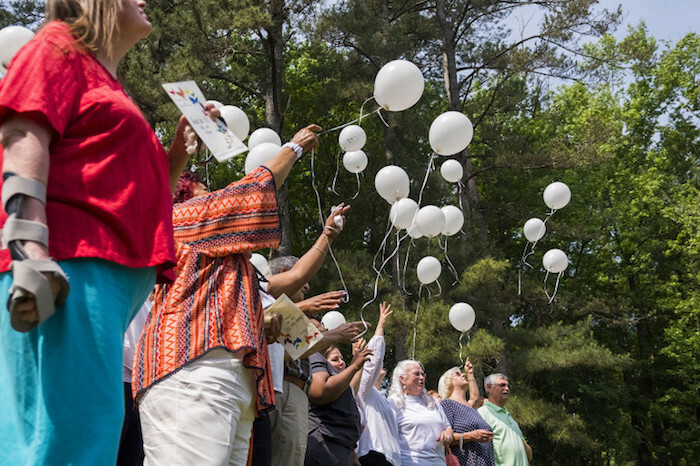 The premise behind the Compassionate Friends, a 49-year-old international organization, is that only other bereaved parents can understand the pain of losing a child. Today, the group gathers parents, grandparents, and family members and encourages peer-to-peer healing in monthly sessions. Six Front Range chapters provide safe places for those struggling with loss to share coping mechanisms and ways to find a new normal. 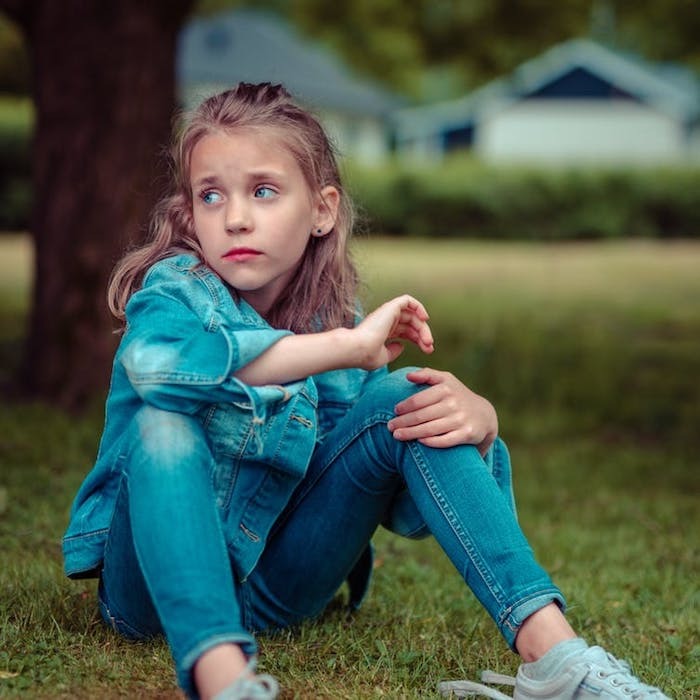 Childhood traumas, such as losing a sibling or a close relative, can be especially challenging to overcome. That’s why this nonprofit, housed two blocks from City Park, has trained clinicians on staff to help both children and families dealing with grief. Its 10-week structured programs put kids in groups of five to 10 other children, and the organization provides a free dinner before each weekly meeting—giving anguished families one less thing to worry about. While there are myriad ways to die, in Colorado there are only a few methods by which your body can (legally) be disposed: entombment, burial, cremation, or removal from the state. We spoke with Centennial State funeral homes and cemeteries to understand the options. Just remember: Colorado law says the written wishes of the deceased must be followed, so discuss what you want with your family ahead of time so they aren’t surprised. What you need to know: In Colorado, a funeral home cannot move forward with a burial (or cremation or transportation across state lines) until a death certificate is on file with the county and state, which normally takes a few days. The funeral home will need information like social security numbers and the deceased’s mother’s maiden name to begin the process. Further, state law requires that if a body is not going to be buried or cremated within 24 hours, it must be either embalmed (using chemicals as a preservative) or refrigerated, so make sure your loved ones know what you prefer. Your family can opt to have your body prepared at a funeral home and then brought home for a viewing or service, though. Finally, federal law mandates that your family be given pricing details about caskets, cemetery fees, and the like before they make a decision, so they are prepared for the costs. What you need to know: Choosing cremation does not preclude having a funeral; many people opt to have funeral services and then have the body cremated. (In this case, you’ll still need a casket, but you can rent one instead of purchasing it.) Once you’ve gone the ashes-to-ashes route, you can’t be scattered willy-nilly on federal land, in part because straight cremains are not healthy for plants. For example, your family will need to apply for a free permit—which stipulates how and where ashes can be spread—if you’d like to have your cremains placed inside Rocky Mountain National Park. The most popular national park in Colorado got more than 180 such requests last year. What you need to know: Only one Colorado cemetery (Crestone Cemetery) and handful of funeral homes (like Fort Collins’ Goes Funeral Care & Crematory) have applied for and been certified by the Green Burial Council. That doesn’t mean there aren’t various shades of “green” burial available throughout Colorado, though, at places such as Littleton’s Seven Stones Chatfield—Botanical Garden Cemetery and Lafayette’s the Natural Funeral. 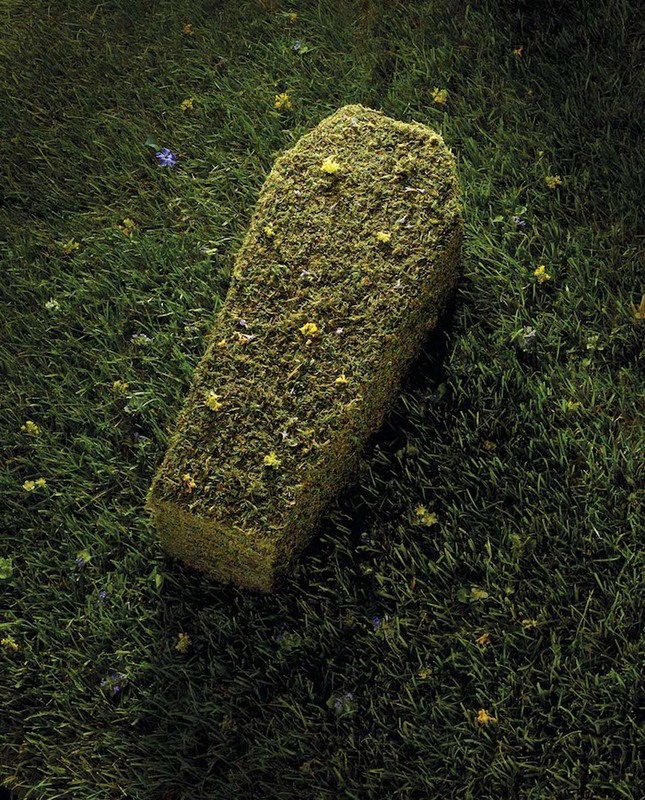 Among the greener ways to go: avoid embalming (so the harmful chemicals don’t seep into the ground upon decomposition); opt for a simple shroud or biodegradable casket; have your grave be dug by hand, instead of with machinery, which comes with a carbon footprint; or select a cemetery or cremation garden that uses environmentally friendlier plants for landscaping (for example, Seven Stones uses rhizomatous tall fescue for its meadow, which requires less water to maintain). Children not only lose their sibling, their parents can also disappear into profound grief. Children don’t forget about their lost siblings. You never stop grieving the loss of a sibling.